Our food & beverage team members are the backbone of making sure our guests are well fed and ready for their day of fun in the sun at Morey's Piers. Whether it's fries, funnel cake or four course meal, we're serving up something for everyone and every palate! Come join our team as we elevate Boardwalk fare to new levels. 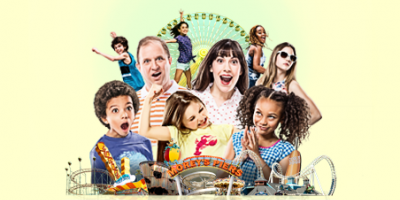 Find your delicious job at Morey's Piers, Cooks, Cashiers, Servers, Bartenders, Bussers and more! One Potato, Two Potatoes, Three Potatoes, Four... and so much more! Do you want the opportunity to serve up all your boardwalk favorites! If so, then join our food and beverage team! Jumbo's is a great place to work! We are currently recruiting servers available through October 7th. We are looking for individuals with upbeat personalities who are able to take direction and enjoy working in a fast paced environment to join our team. Training will be provided on site; many positions do not require prior experience. With its location on the exciting Surfside Pier, Joe's Fish Co. is a great place to work! Our restaurant team consists of cashiers, cooks, prep staff, hosts, food expeditors, servers, bartenders, service bartenders, and dishwashers. We are looking for individuals to with upbeat personalities who are able to take direction and enjoy working in a fast paced environment to join our team. Training will be provided on site; many positions do not require previous experience. Apply for Joe Fish Co. If you are a team player that enjoys sunshine, the sound of waves crashing, palm trees and tropical music then you will love joining our food and beverage team at Ocean Oasis. We strive to put out excellent food to happy guests. Positions available include cooks, cashiers, servers, bartenders and hosts. Training will be provided on site. If you love working at the beach in a fast paced environment, the food & beverage team at Raging Waters & PigDog Beach Bar-BQ may be just the place for you! We offer the perfect summer job opportunities at Wrecker's Beach Grill, the beach bar and Rendezvous Beach catering area. We are looking for team players with guest friendly attitudes to join our food and beverage team. Positions available include cashiers, cooks, prep staff, food expeditors, food runners/busser, bartenders, servers, catering staff and park services.